This 1954 Gold Star rigid-frame competition offering takes us back to a period when trials was a very different sport. It’s now found a home on the road. Weighing in at over 300lb and with no rear suspension, it’s difficult to comprehend that in the early 1950s this Gold Star would have been good enough to take a top class rider to a premier class win in a national trial. 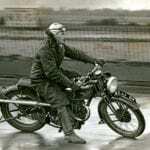 One such rider – and the bike’s designer – was the Irishman Bill Nicholson, who joined the BSA experimental shop in 1946 and in the next eight years would go on to win more than 50 major trials awards, including five victories in the arduous Scott time and observation event and twice wear the crown of British champion on his Small Heath singles. 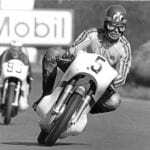 Our test bike isn’t one ridden by Nicholson, but is a special machine, as it was bought new in 1954 by Maurice Sunderland from Wakefield and is now owned by only the second name on the log book, west country enthusiast Kevin Discombe. After buying the Goldie in 2009, Kevin treated it to a nut and bolt restoration. The result is stunning, a fitting tribute to this ‘last of the line’ offering. Motorcycles have been an important piece of Kevin’s life from his early years, so before we fired the single into action, he told me a little about his introduction to two wheels and some of the bikes he’s owned. 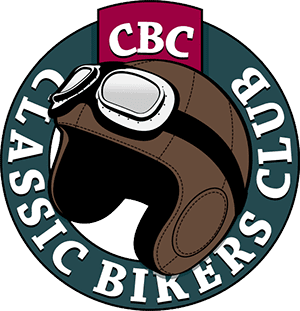 “My first recollection of motorcycling is going on the pillion of my dad’s 1923 BSA, and aged about 12 or 13 I had my first two wheeler, a 125cc Lambretta scooter. 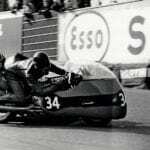 From then, I progressed to a BSA Bantam, and then a Tiger Cub which before I could ride on the road I used to tear around the local fields on. 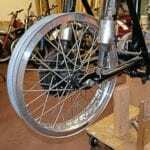 Although at this stage it was fitted with a later swinging arm frame and not a rigid. 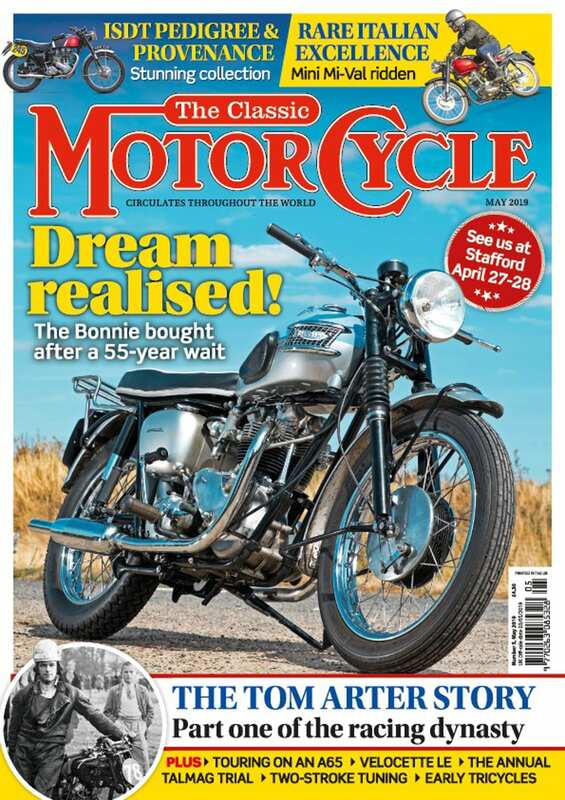 “Before I started to restore the Goldie, I spoke to the former owner, Maurice, who informed me that he bought it in 1954 as a rigid, but 18 months later he got the supplying dealer to change it for the newly released swinging arm frame. 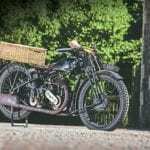 “There is no doubt that the swinging arm machine was a more competitive bike but as I had no intention of riding it in trials, I decided to revert back to the rigid set-up. From my research, I discovered that in its rigid frame form this particular Goldie trials bike was only made for two years, so to find one was really exciting. 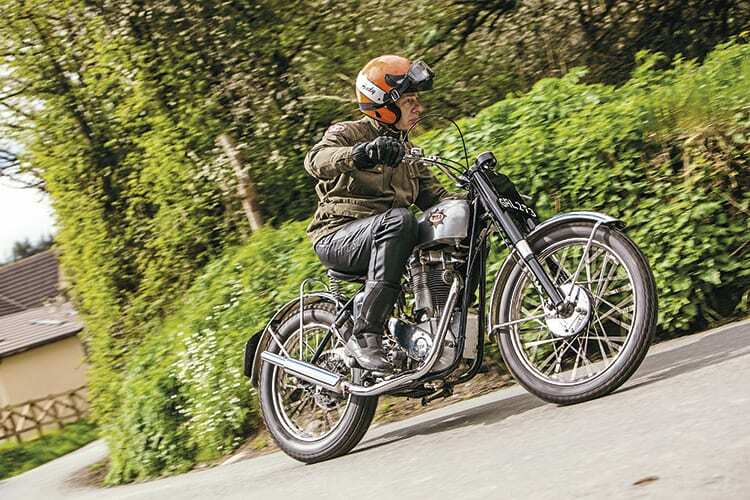 “From the early days when he first went to BSA in 1946, I understand Nicholson was experimenting with a swinging arm rear end but there were plenty of riders who felt that a rigid rear was still best for a trials machine, as they felt it offered better grip in the mud.